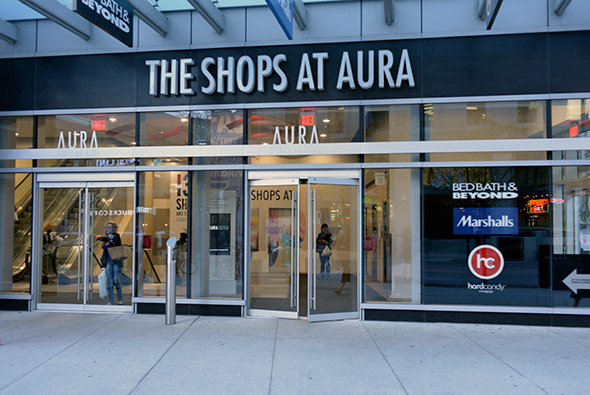 Located just steps beneath one of Toronto's primary commercial corridors, The Shops at Aura is a strange beast of a mall that offers a warning against the way that retail is incorporated into condo developments. Despite its location, this shopping centre completely fails to thrive. 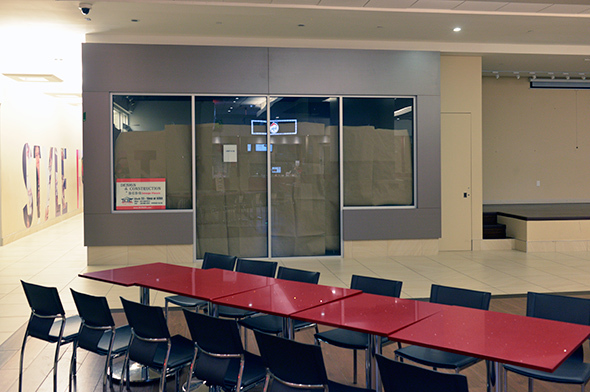 Almost half the allotted retail spaces are vacant, there are only a handful of vendors in the abandoned-looking food court, and the whole place feels like an anxiety-inducing maze in which the more turns you take, the further you get from an exit. The main problem is the design. 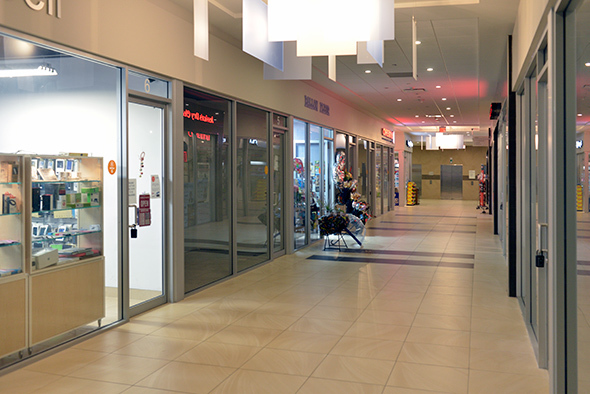 Each unit is very small, and thus not remotely attractive to big name retailers. Sold as "retail condos," each space has an individual owner, which also complicates the process of securing tenants down here. For a particularly depressing tour, check out this video. There's a Marshall's and a Bed Bath and Beyond in the podium of the tower, but that feels like a different world from the underground retail. 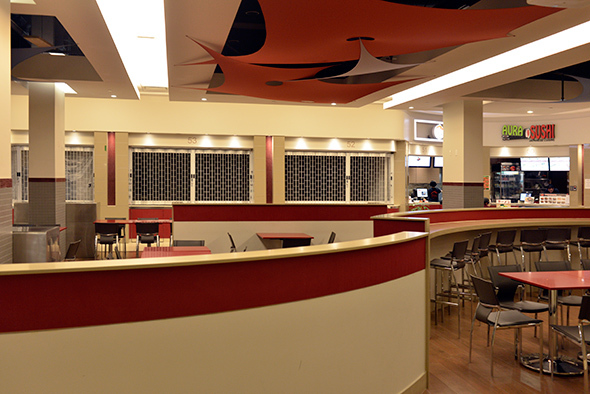 Having a mom and pop-type market would actually be great if it was at all viable, but since opening in 2012, the mall has never gotten its legs. Of the 130 retail spaces available, it seems like only slightly more than half are occupied. There's a lesson in here given the radical amount of development taking place along Yonge St. "If you build it, they will come" does not hold true for shopping malls that look like afterthoughts. One has to take care when fostering retail communities, especially underneath Yonge St.
Galleria Mall at Dupont and Dufferin takes its fair share of knocks, but it's so much better than the Shops at Aura (for as long as it lasts). 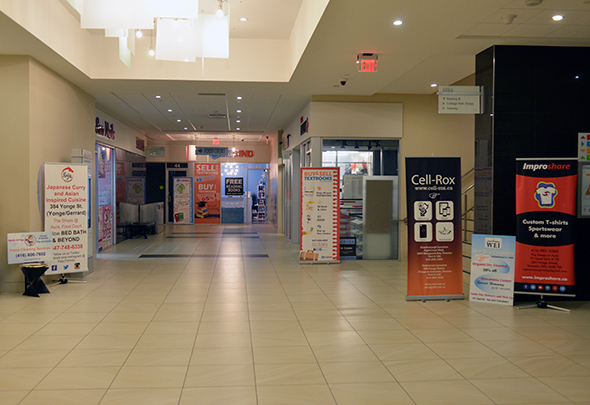 The Galleria is anchored by a major grocery store, large-scale gym, and an LCBO. This ensures constant activity for the mom and pop shops. At Aura, the little vendors have to fend for themselves.